Advanced Church software, Church Management packages. Welcome to our latest customer, St. Simon & St. Jude in Tignish PEI. Would you like to easily organize and manage your church or many churches within your pastoral charge? As our tagline suggests, ‘We’re Building Solutions” and we mean it. Our software is not built to just to have products to sell. We build our solutions and software to solve problems. 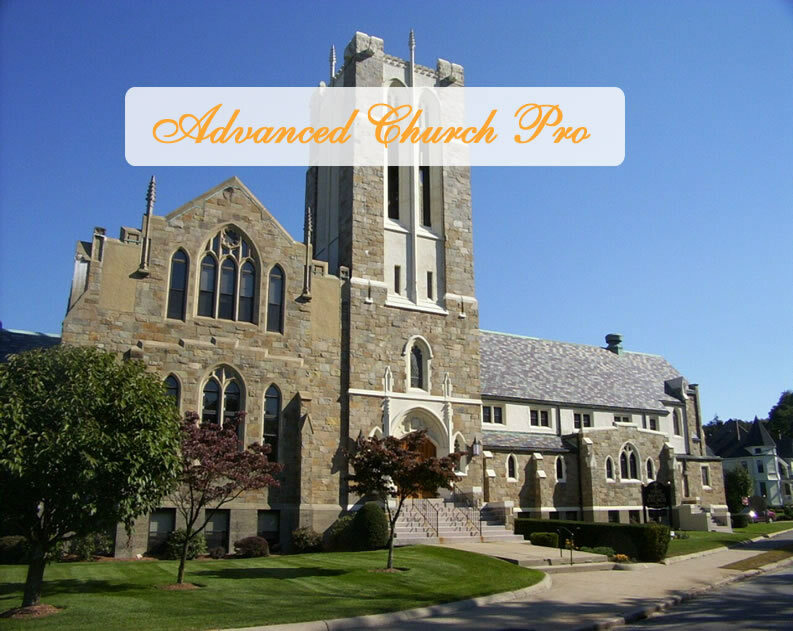 Parish Pro and Advanced Church were built as a solution to problematic, incomplete, unstable, slow, church software. Our solutions come from years of up close customer involvement, consultations with church administrators and we even hired a retired church administrator to make sure we have it right, then we added pure honest hard work. Our customers are the real designers of this software. We have also worked with our customers on other solutions extending well beyond the software itself; remote secure access and network design/support, cemeteries, to name a few. To truly support a church from the back of the rectory right up to the steeple means providing top notch service. That’s why we have skilled and certified service personnel on staff. We really do build solutions. We designed our software exclusively for parishes, dioceses and ministries. We eliminated data re-entry, lowered reporting time, gave you high level searches, and increased data access and input speeds, all saving you time and money. Track and report all contributions, INCLUDING, direct bank deposits. Your forms from the Dioceses, fully integrated, and a few extras. One click, easy-to-use, very extensive, including “Drill-Downs”. Digital signatures, professional certificates, highly advanced, reports. This can be a stand-along module for your SVDP society. Built into the software, from the ground up, fully internal. Link an individual to other individuals or relatives. Input, search (drill-down), report. on all SHAPE faucets. Integrate with Simply Accounting, and other popular accounting software. Keep track of upcoming events / rental offices etc. Keep your church inventory, serial #’s etc. at your fingertips. Backup on a daily basis, and year end rollover. Upload data / reports direct to the Diocese database. Classes module for catachetics , schooling, volunteer tracking. An area that saves you an amazing amount of time. Never, Ever retype the same thing in twice, period. This package has the capability to receive, store and access all church data that comes in from the churches. Within this database the user has the ability to search for any data from any church OR from a single church. You can print certificates, look up sacraments, check history, run year end reports, look up statistics, check Census lists, as well as having the same capabilities as Parish Pro. NOW, you have all your churches information at your finger tips. Imagine being able to find out who is over 65 years old within ALL of your Diocese churches with two clicks of the mouse and being able to send that report securely by E-mail. As with Parish Pro, you’ll find data you never knew you had, or that you could get at so easily. This is also very useful if a church closes, the data will always be located at the Diocese office. Have you ever had to track down a Baptismal certificate from a church that closed 10 years ago. Now in minutes you can bring up that churches data and print the certificate or create a PDF and E-mail it out. Your Churches will create an encrypted (2 ways), password protected, zip file and E-mail it to you (yes it is that small). You “import” that file into your database and that’s it. We also use secure remote servers if you need or wish to use this method.